A wee post about risk and how to design with risk rather than against it. The beach has always been an area of great attraction, and great intrepidation amongst us humans. With growing pollutants and extreme weather conditions, our beaches are becoming more like ones out of JAWS – unpredictable areas that are difficult to gauge if it is safe to swim, or, if you’re so inclined, surf, sail and fish. So what if our beaches were equipped with sensors that measured environmental conditions and fed that information through the internet to people in real time? Well Britain’s next-door neighbour has already started doing this. 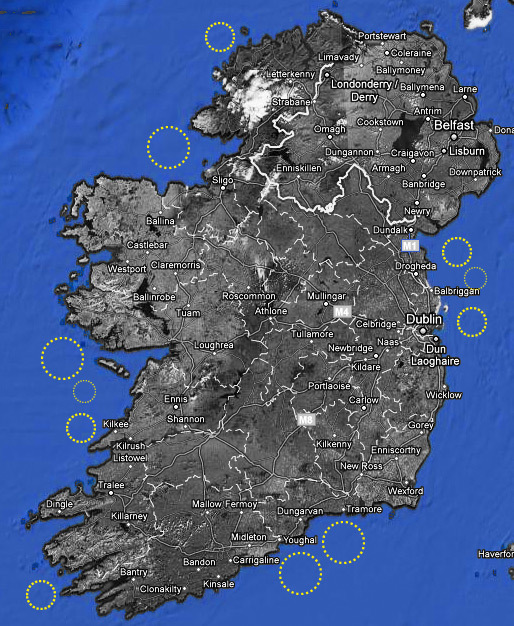 Ireland’s Environmental Protection Agency has worked with IBM to set up bathingwater.ie for people to track data received by solar-powered sensors on buoys floating in the sea. The website has a bit to be desired in communicating this information effectively. First-off it would be good if it worked on safari. But the framework is there. They just need a good designer to help them reach the audience they desire.